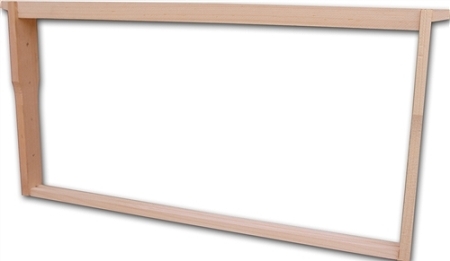 These Deep wooden frames accept either deep plastic foundation or deep wax foundation (sold separately). The frame comes unassembled and without nails. 1 Package contains parts for 10 frames. Optional assembly of the frame is available. Price is $1.00/ frame. The assembly includes gluing, stapling & squaring the frame. It DOES NOT include installing plastic or wax foundation or wiring the frame. We also have a spur embedder, eyelets & wire available for wiring the frames.